Basement waterproofing helps you to safeguard the basement of your house or building from water penetrating. This involves skilled and experience services with right material, sealants, applications and installations to drain or remove water from the basement. A wet and moisture basement filling the air with musty odor hazardous mold and mildew spores may damage building foundation. 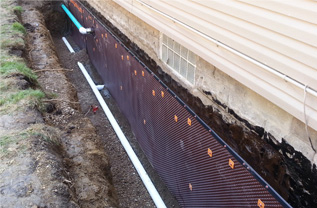 Need effective underground water leaks detection, foundation or basement waterproofing? Count us for basement waterproofing services in Brooklyn, NY. We at Tetra Construction combines technical expertise with years of experience in waterproofing provide reliable, effective and affordable basement waterproofing, underground leaks detection and structural repairs. When you hire Tetra Construction rest assures that your basement is not dry is ever dry. We have most qualified and talented crew of architects, building inspectors and masonry and waterproofing experts to maintain quality services that meet or exceed your expectations.